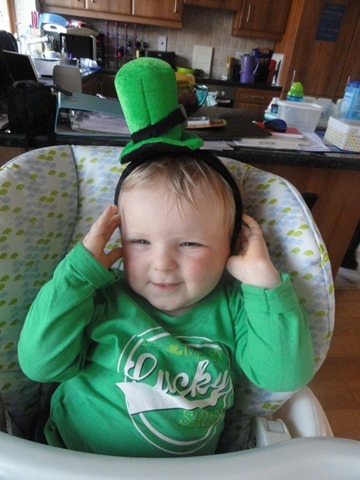 Happy St. Patrick’s Day everyone! I hope you had a nice time. 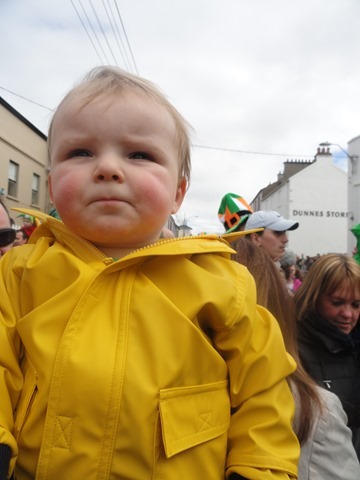 As I was sick the whole weekend, I decided to at least attend the Sligo Parade with Matthew and Daddy of course. Unfortunately Matthew picked up a cough so the morning was a bit of a nightmare with him not having a nap but we went to the parade in the end. Matthew was well impressed with the Peppa Pig and Mickey Mouse Dress Ups. 🙂 After the parade we went for some food in the Clarion Hotel. Hopefully next everyone will be well and we can go to the Dublin parade for once.